SALEM - The crystal ball hasn't been created that can answer this question: How many witches are in the Witch City? Whatever the number, there are enough to pull off a little magic this October and a first in Salem - two witches balls, both advertised as the "official" Salem witches ball and both at the historic Hawthorne Hotel. 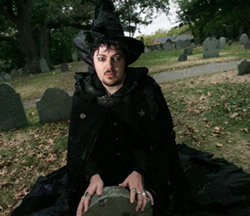 The first, on Friday, Oct. 26, is run by local witch Christian Day and features Fiona Horne, an Australian rock star billed as "the world's most famous witch." The other, on Halloween night, is being staged by Laurie Cabot, who also is "the world's most famous witch." Cabot, of course, is the official witch of Salem, a title bestowed upon her three decades ago by Gov. Michael Dukakis. The dueling balls are also fighting it out for media attention. Cabot says British actor and comedian Stephen Fry is coming to her bash with a crew from the BBC; Day says he's got The History Channel. It could be argued that Day, 37, and Cabot, 74, are the new and old guard of Salem witchcraft. They have loyal followings, are occasionally controversial and unabashedly entrepreneurial. In the 1970s, Cabot opened the first witch shop in the city and today runs Cabot Academy, a witchcraft school. She held the first witches ball in Salem and says she presided over the first Wiccan funeral at a modern funeral home. "I've done all the firsts," she said. 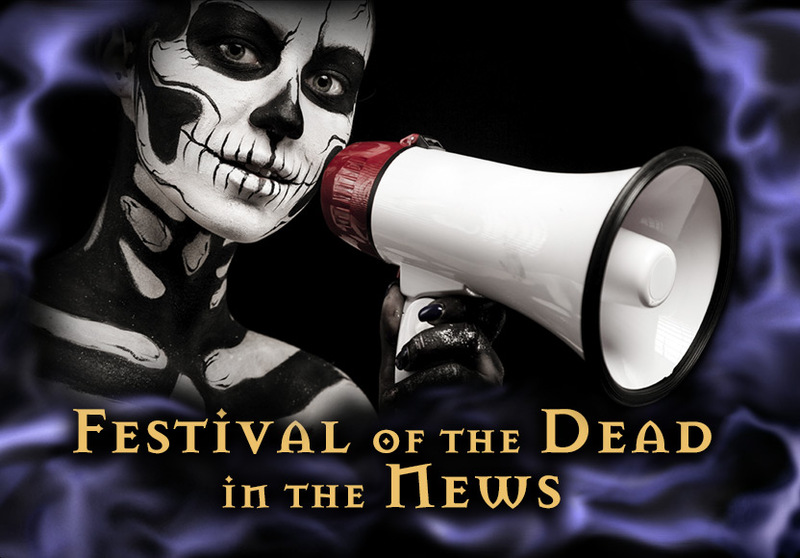 Day runs the Festival of the Dead, a nonstop October extravaganza that includes a psychic fair, a witches ball, an evening of ghost hunting and a vampire ball with "voluptuous vixens." "I'm the Howard Stern of witchcraft," he said. In between those two public poles of Salem witchcraft lies a whole Wiccan landscape that is largely private, constantly shifting and changing - and, to an outsider, a bit baffling. For starters, much of what happens in witchcraft takes place behind closed doors. Most witches belong to covens, or small groups of friends who meet in homes to celebrate festivals or Sabbaths based on the moon, the sun and the agricultural year. This is the private, personal part of witchcraft. Covens can have exotic names like the Council of Urias or the Coven of the Silver Wolf, names that come from mythology, folklore, ancient gods or, in some cases, out of thin air. There are a lot of covens in Salem - one witch guessed about 30. The covens perform rituals and magic - or "magick," as they spell it. But it is often practical magic, several witches said, not black magic. "I remember one time we were all sitting around, and one of the quieter, little conservative members said, 'I want to bring some love into my life.' So we did love spells," said Teri Kalgren, founder of the Witches' Education Bureau, a public awareness group. Witches, like the rest of us, don't all agree or get along. "I think you're going to find the witchcraft community is very diversified," said Amy "Gypsy" Ravish, who runs a witch shop and mail-order business. "There are a lot of traditions," Kalgren said. "It's just like there are a lot of Protestants." Traditions, in a way, are systems of belief and ritual. They are a somewhat modern phenomenon in witchcraft and are based on the teachings, for example, of well-known British witches, or even someone local like Cabot. Witches who take her classes become part of the so-called Cabot Tradition. The classes and training in a witch tradition can take a year or more. Along the way, witches can advance through degrees - first, second and third - just like Masons or martial artists. Except, Kalgren said with a grin, "you don't get any belts." At the conclusion of Cabot's teachings, witches are initiated by being dubbed with a sword. Unlike most other religions, Salem witches don't sit inside a big white church with a steeple. In fact, they have no churches or buildings and like to say that the natural world around them is superstructure enough. Well, that's not completely true. Witch covens or organizations sometimes rent buildings to celebrate their festivals. One group regularly uses Old Town Hall, for example, while another recently rented the Winter Island function room. Witches, it turns out, can meet in the most unlikely places. "Right now, I'm a Moose," Cabot said. "I joined the Moose lodge." The longest-running public witch group in the city is The Temple of the Nine Wells, an outgrowth of earlier public awareness efforts. Today, it is a nonprofit religious organization registered with the state and affiliated with the Aquarian Tabernacle Church, a Wiccan congregation in Washington state. The Temple of the Nine Wells holds the annual candlelight vigil on Gallows Hill, where victims of the witchcraft hysteria - victims who historians say were not witches - were killed in 1692. The vigil takes place on Oct. 31, which for witches is not Halloween, but Samhain, their new year's Sabbath. The Gallows Hill ceremony is the largest local gathering of witches, sometimes numbering in the hundreds. "There are people all over the country that plan their whole year around coming here because they really feel a unity of the greater family of Wicca," said Ravish, who heads the Temple of the Nine Wells with her husband, Richard. "Maybe they have their local covens, or maybe they don't. Maybe they live openly as witches, or maybe they are unable to because of bigotry. But if they can come here and connect, it is an empowering and affirming experience." During Samhain, many witch covens hold dumb suppers, where they sit in silence before a table set with places and food for departed ancestors. This is when the "veil" between the living and the dead is thinnest, they say, facilitating communication between the two worlds. "My dad was a hunter, so it's easy for me to hear him that time of year," said local witch Jerrie Hildebrand, "because he would have been preparing to go out and get a deer." She laughs about her own tradition of taking a plate of food from the table and putting it in the backyard for the departed spirits. One year, after the food disappeared, her son said: "Mommy, I don't think the spirits ate that. I think the raccoons did." At the Festival of the Dead, the public can buy tickets to a dumb supper - for $100. Several local witches have recently taken on public roles to fight for civil rights. Fighting prejudice and educating the public have long been causes of witch organizations. Hildebrand, who once led a pagan branch of the Unitarian Universalist Church on Bridge Street, is a director of the Lady Liberty League, a national organization based in Wisconsin. The organization recently won a legal battle with the Veterans Administration to place pentacles, a witchcraft symbol, on gravestones of veterans who were witches. Hildebrand, who runs a graphic artist business, designed the pentacle that is put on graves in Arlington National Cemetery in Washington, D.C.
Kalgren just started the Salem Pagan Network to try to bring local witches together and to be a voice for pagans. They plan several volunteer ventures, including a pagan troop support. Witches, at least in this city, play official roles in business and government. Day, a former Web designer with a marketing background, is on the mayor's Haunted Happenings Committee and a member of a working tourism group. "We work with talented people, and they come from all different walks of life," Mayor Kim Driscoll said. Both Day and Hildebrand helped the Chamber of Commerce put out this year's Haunted Happenings brochure. Like the mayor, Chamber Director Rinus Oosthoek said he is grateful for volunteers who offer their time and talent. "I don't ask anybody whether they're Catholic or Protestant or Wiccan," he said. Many witches run local shops, but not all witch shops are run by witches. Many witches work as psychics, but not all psychics are witches. And many witches have regular jobs - just like everybody else. "I know a witch who works for the IRS," said Marie Guerriero, a witch who markets a science toy called the "tornado tube." It's hard to say who put the "witch" into the Witch City or exactly when this modern witch landscape took shape. Many trace it to Cabot's arrival in the late 1960s. Many of today's witch leaders took courses from her and then went their own ways. Sitting in her witch shop on Pickering Wharf, black robes around her shoulders and a blue spiral tattoo on her cheek, Cabot smiled when asked if she deserves credit or blame for the state of the Witch City. She said she is proud of much that has transpired, but not all. "I get guilty once in a while," she said, "when I look around and it's a gosh-darn circus."